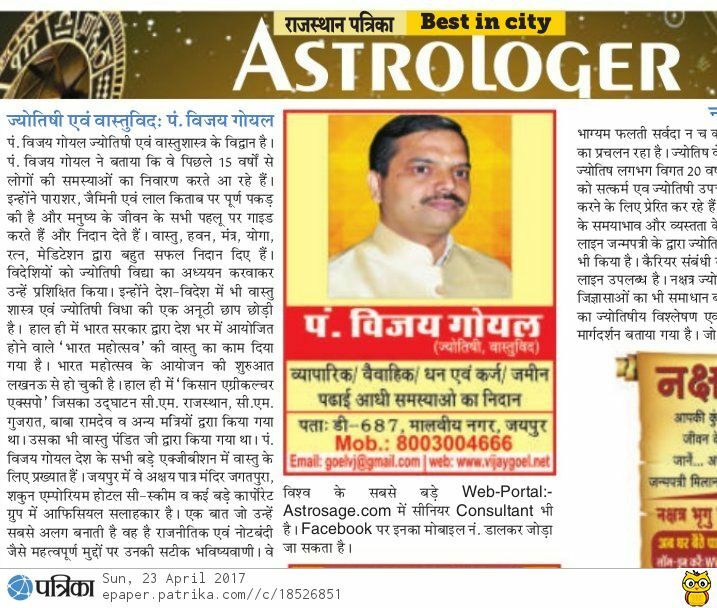 I have been covered in Rajasthan Patrika - the biggest Hindi daily newspaper of North India, in Jaipur Edition among the best astrologers of Jaipur. significance of body part flickering \ shivering ; अंग क्यों फडकते है ? www.IndianAstroVedic.com. Theme images by luoman. Powered by Blogger.